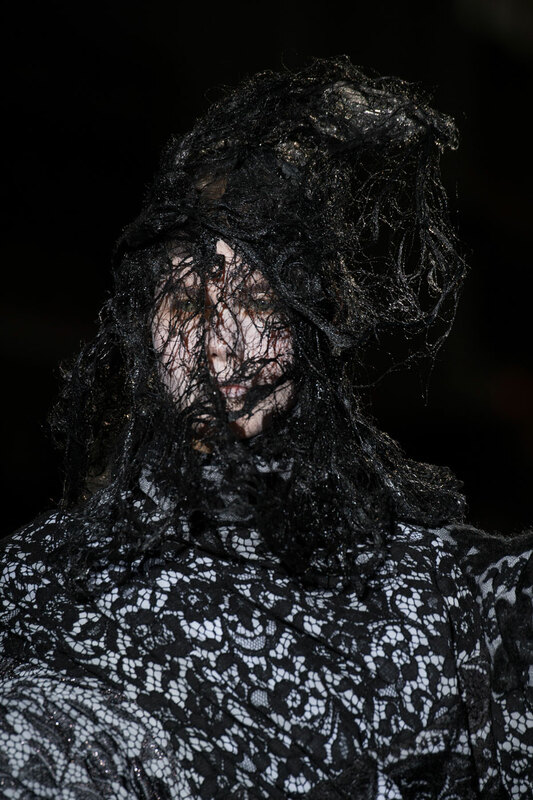 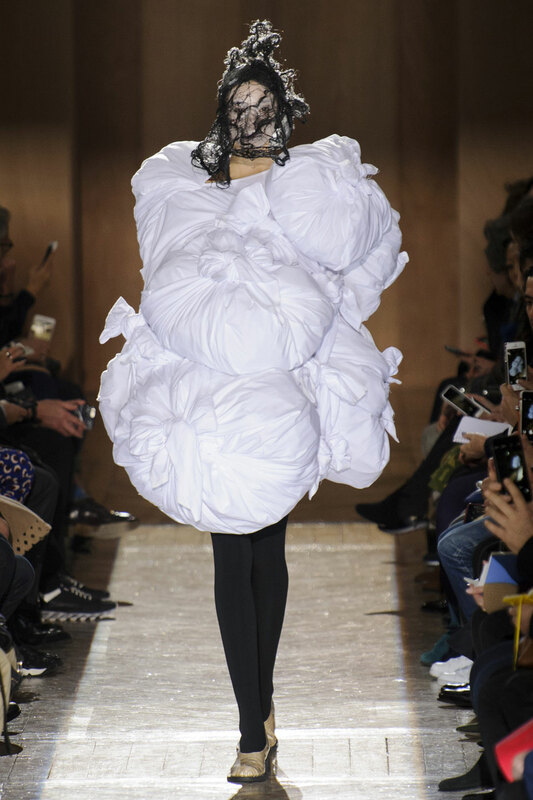 Comme des Garcons Women Autumn-Winter 2015 – The Fashion designers of the season fall in to a category of either a modernist or a retroist, but Rei Kawakubo of Comme des Garcons doesn’t fall into either of those, she is in a league of her own. 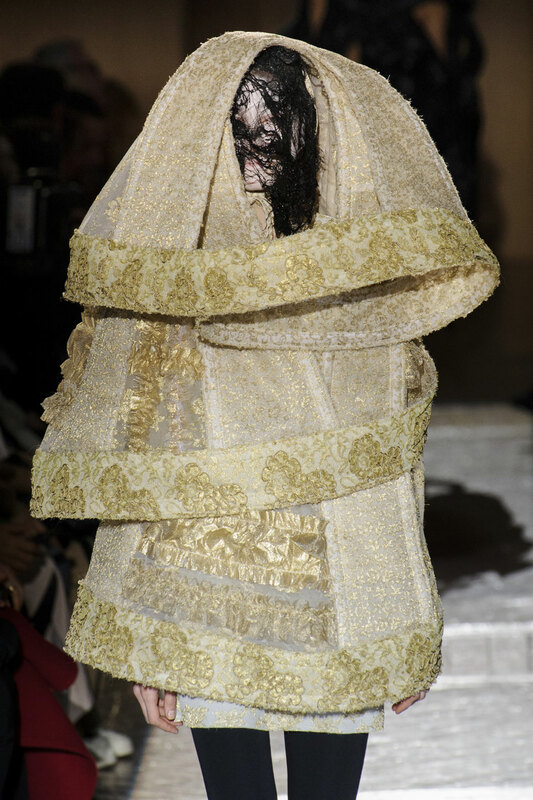 The clothes, if one would call them that, were elaborate constructions, some soft, some structured, all over the top designs, most in piles, drapes, wraps of exquisite laces in whites, blacks, a tinge or two of gold. 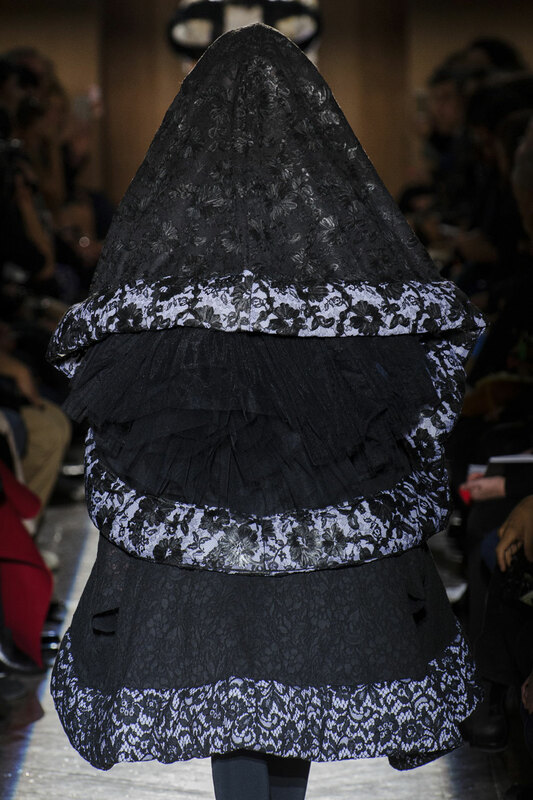 She called it a ‘ceremony of separation’ and, if ever clothes could convey feelings of pain, anger, loss and melancholy, these were them. 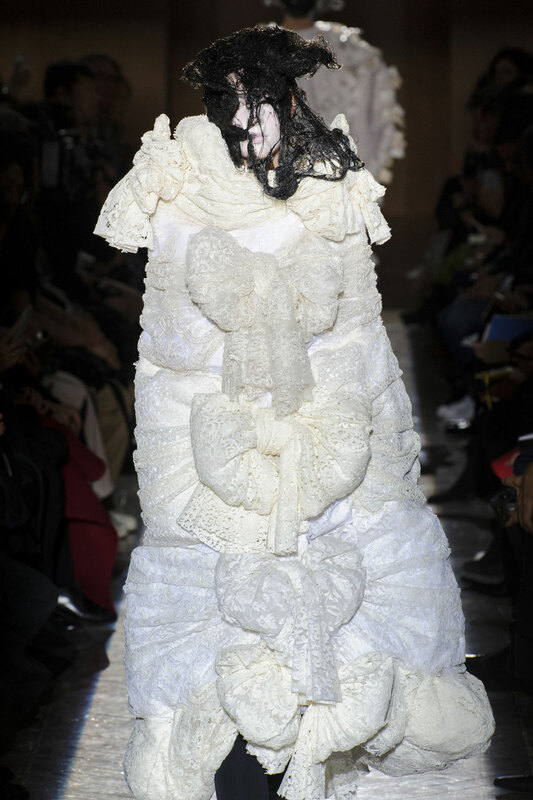 The show started off with bundles of laundry like ensemble, followed by a cocoon shaped duvet with bow detailing down the front. 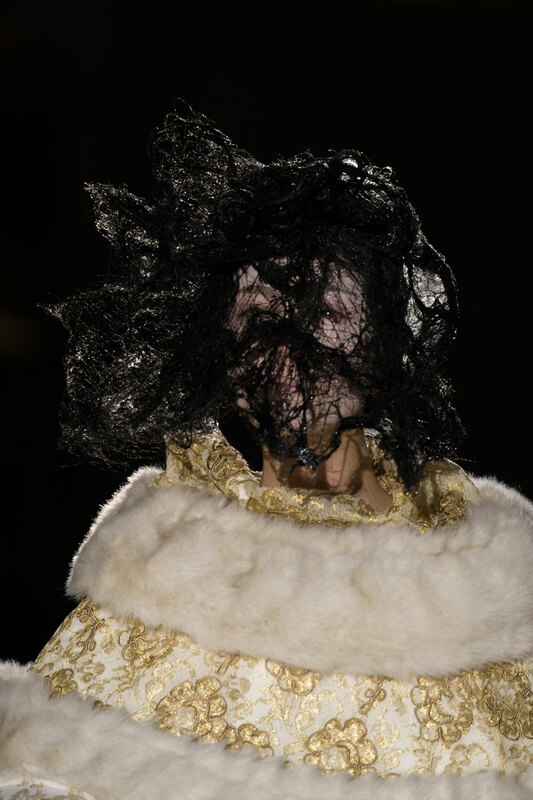 It continued with a trapped in a cage look of black lace, and the sorrow element is added. 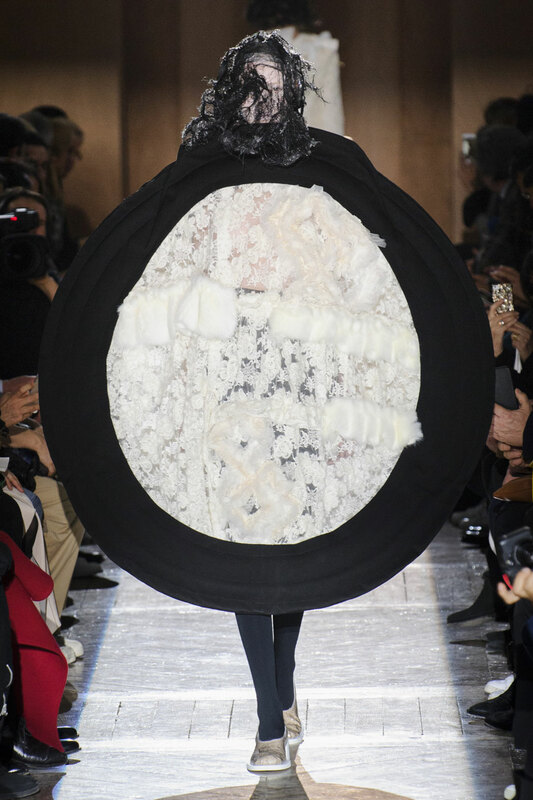 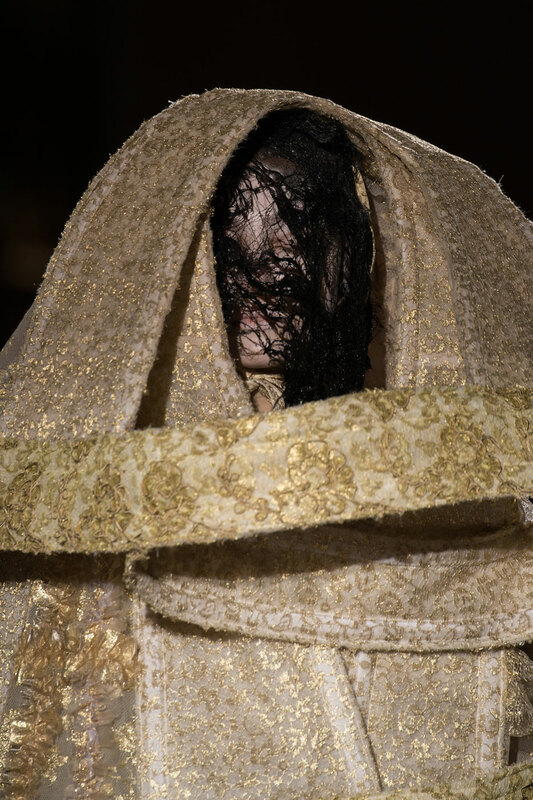 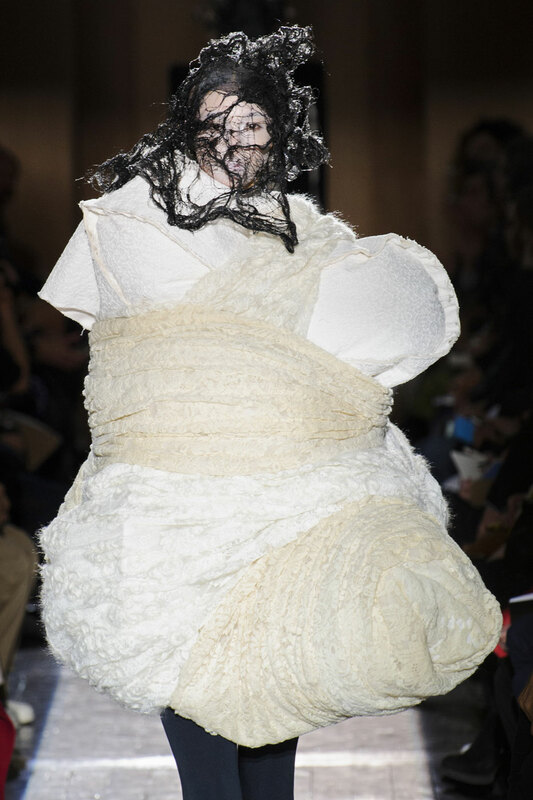 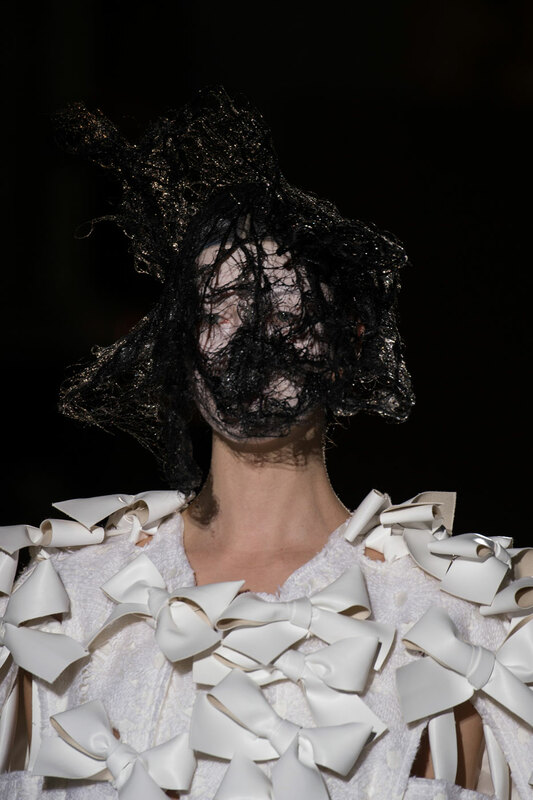 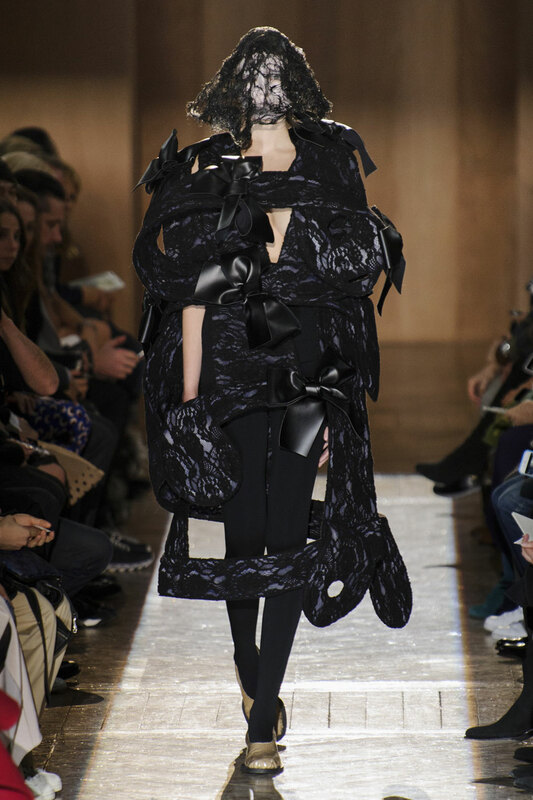 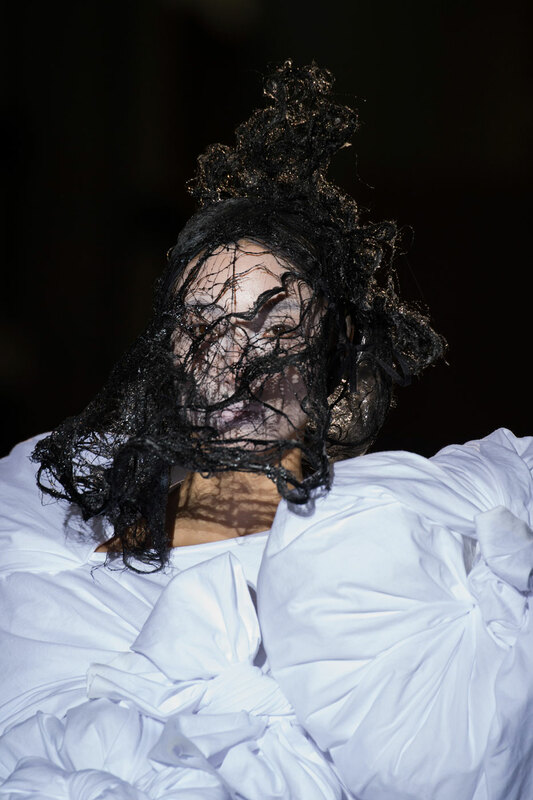 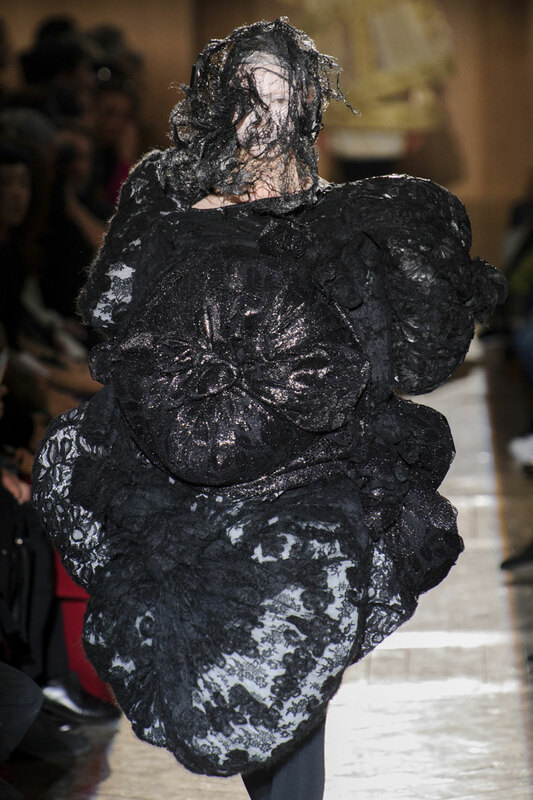 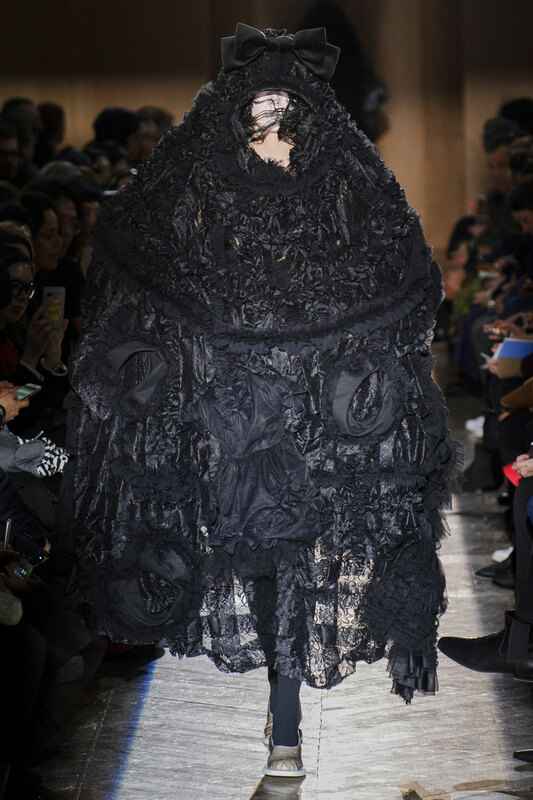 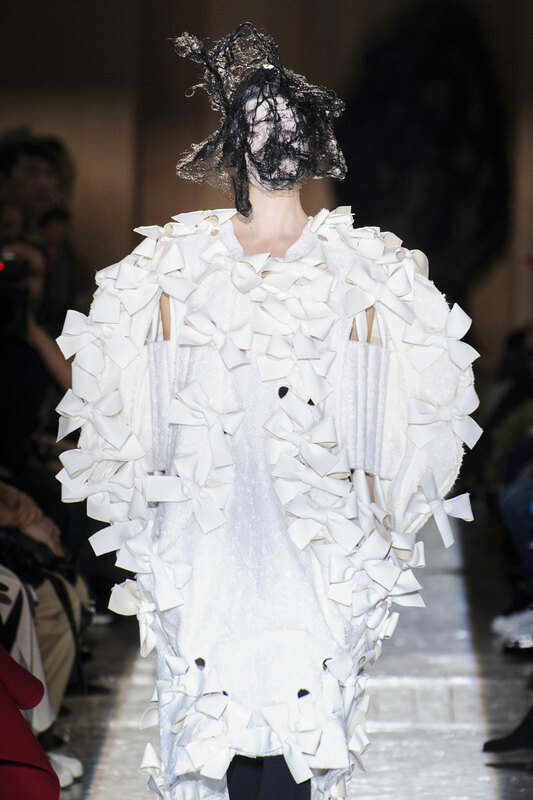 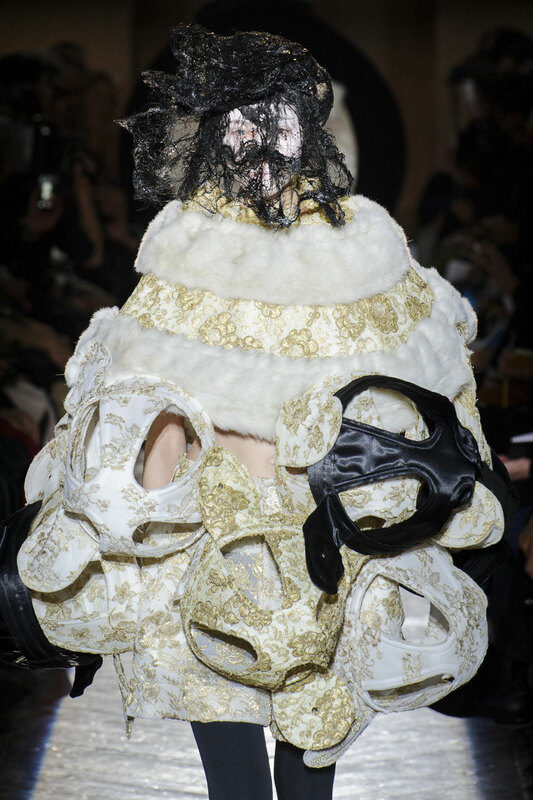 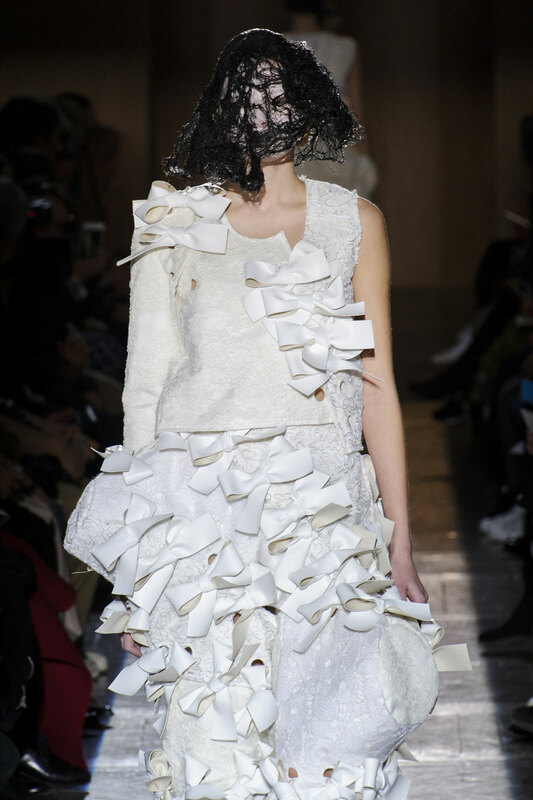 The collection had a majestic feel to it – particularly when they had to pass one another along the narrowest catwalk path in Galerie de Minéralogie at the Natural History Museum, models acknowledged each other and made room for each to pass, Kawakubo had bought communication to the catwalk. 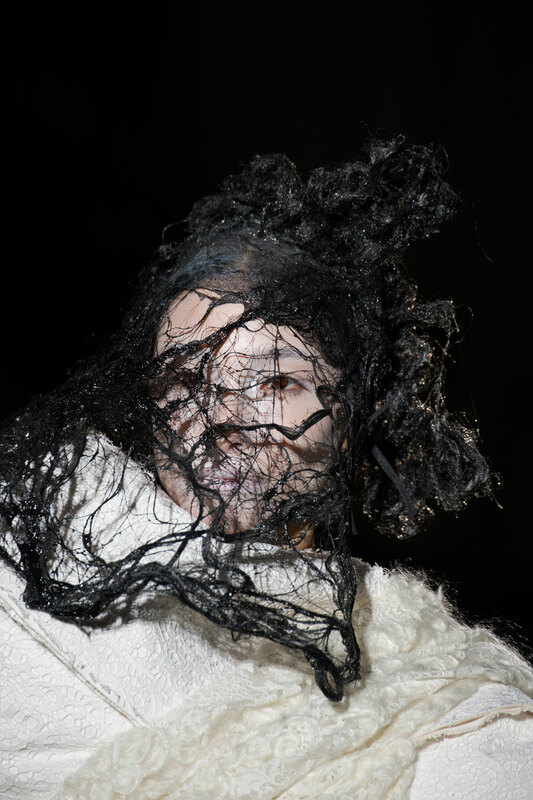 Each model had her face covered with a black laced headpiece, as if we were not looking at an actu al person, but the absence of someone. 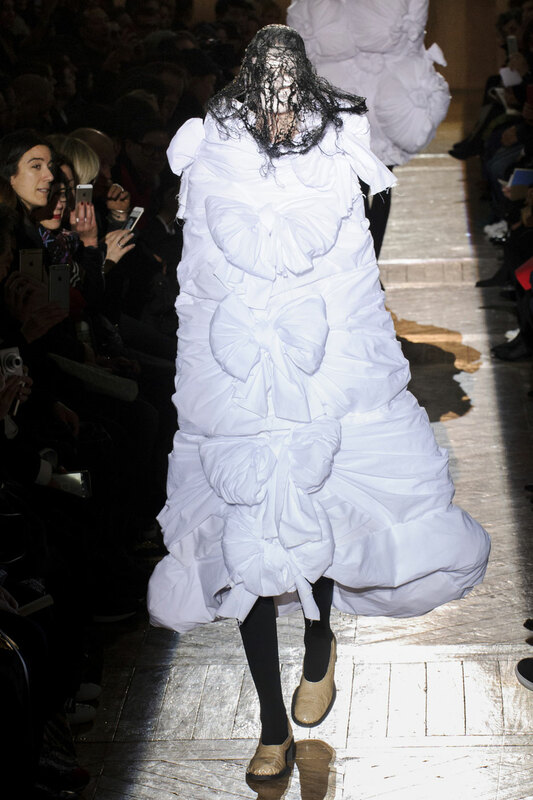 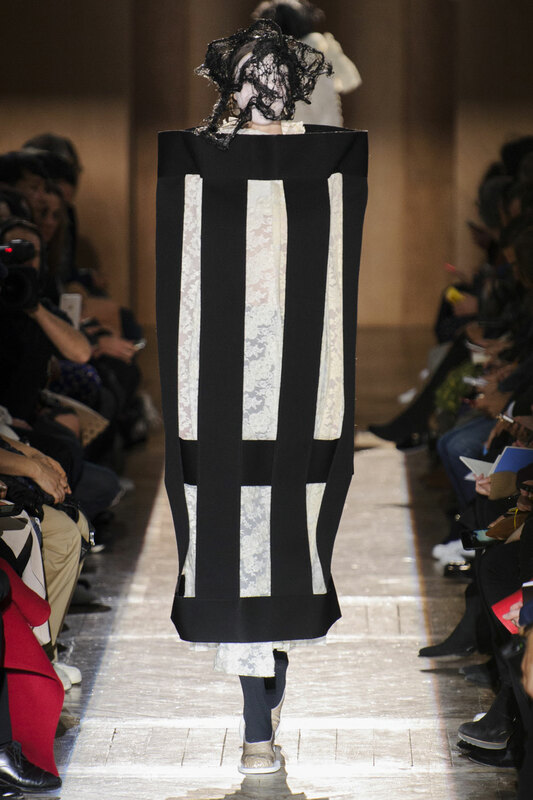 Kawakubo determined to make us feel the beauty and despair of line. 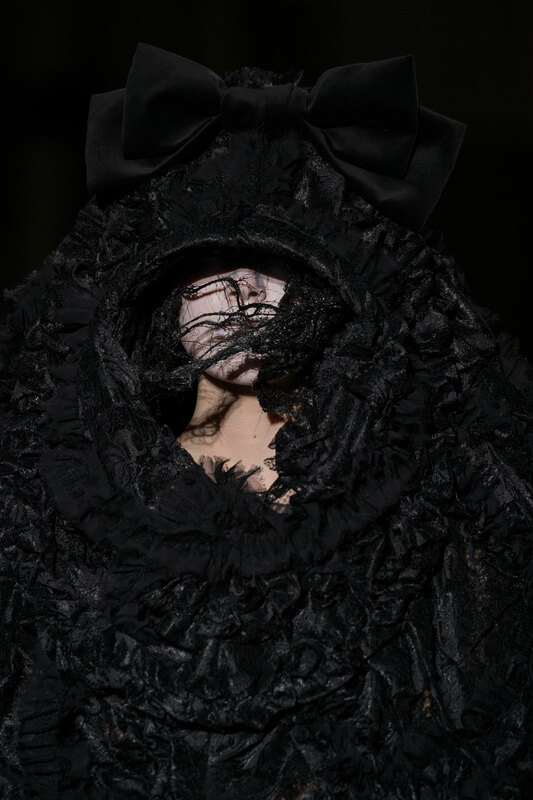 She has long removed herself from “fashion” – her creations are not aesthetically pleasing but rather soul pleasing.